BUENOS AIRES (Reuters) - The United States sought to woo Europe and Japan with free trade deals on Saturday to gain leverage in an escalating tariff war with China but its overtures faced stiff resistance from France at a G20 finance ministers meeting dominated by trade tensions. U.S. Treasury Secretary Steven Mnuchin told reporters at the gathering of the financial leaders of the world’s 20 largest economies in Buenos Aires that he was renewing President Donald Trump’s proposal that G7 allies drop trade barriers between them. Trump has angered European allies by imposing import tariffs of 25 percent on steel and 10 percent on aluminum, causing the European Union to retaliate with similar amounts of tariffs on Harley-Davidson motorcycles, Kentucky bourbon and other products. Trump, who frequently criticizes Europe’s 10 percent car tariffs, is also studying adding a 25 percent levy on automotive imports, which would hit both Europe and Japan hard. French Finance Minister Bruno Le Maire said the European Union would not consider launching trade talks with the United States unless Trump first withdraws the steel and aluminum tariffs and stands down on a car tariff threat. 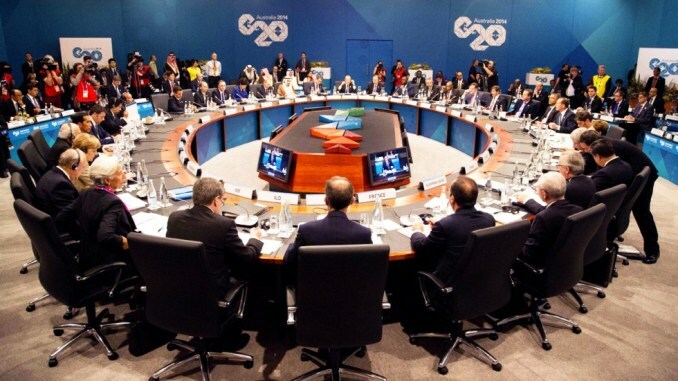 “We refuse to negotiate with a gun to our head,” Le Maire told reporters on the sidelines of the G20 meeting. Mnuchin’s offer to the European Union and Japan - along with a renewed effort to jump-start stalled talks with Mexico and Canada to modernize the North American Free Trade Agreement - come as the United States and China are at loggerheads in an escalating trade dispute with no talks in sight. The world’s two largest economies have slapped tariffs on $34 billion worth of each other’s goods so far. Trump on Friday threatened to impose tariffs on all $500 billion of Chinese exports to the United States unless Beijing agrees to major structural changes to its technology transfer, industrial subsidy and joint venture policies. Mnuchin is not meeting formally with any Chinese officials at the G20 meeting, but said that was because his normal counterpart, top Chinese economic adviser Liu He, is not attending. The International Monetary Fund (IMF) also warned that the recent wave of trade tariffs would significantly harm global growth. IMF Managing Director Christine Lagarde presented the G20 finance ministers and central bank governors meeting in Buenos Aires with a report warning that existing trade restrictions would reduce global output by 0.5 percent. In the briefing note prepared for G20 ministers, the IMF said global economic growth may peak at 3.9 percent in 2018 and 2019, while downside risks have increased due to the growing trade conflict. Lagarde’s presentation came shortly after Mnuchin said there was no “macro” effect yet on the U.S. economy. Mnuchin said that, while there were some “micro” effects such as retaliation against U.S.-produced soybeans, lobsters and bourbon, he did not believe that tariffs would keep the United States from achieving sustained 3 percent growth this year. “I still think from a macro basis we do not see any impact on what’s very positive growth,” Mnuchin said, adding that he is closely monitoring prices of steel, aluminum, timber and soybeans. The U.S. dollar fell the most in three weeks on Friday against a basket of six major currencies .DXY after Trump complained again about the greenback’s strength and about Federal Reserve interest rate rises, halting a rally that had driven the dollar to its highest in a year. Brazilian Finance Minister Eduardo Guardia said participants agreed the risks to the global economy had increased since their last meeting, citing rising trade tensions and higher interest rates by major central banks. He said the final communique would reflect the need for members, particularly in emerging markets that have been roiled by currency weakness, to undertake reforms to protect themselves against volatility. German Finance Minister Olaf Scholz said he would use the meeting to advocate for a rules-based trading system, but that expectations were low. “I don’t expect tangible progress to be made at this meeting,” Scholz told reporters on the plane to Buenos Aires. The U.S. tariffs will cost Germany up to 20 billion euros ($23.44 billion) in income this year, according to the head of German think-tank IMK. Bank of Japan Governor Haruhiko Kuroda said he hoped the debate at the G20 gathering would lead to an easing of retaliatory trade measures.